One of a kind, hand turned redwood traditional edge calabash bowl with 3 stitches by Jerry Kermode. 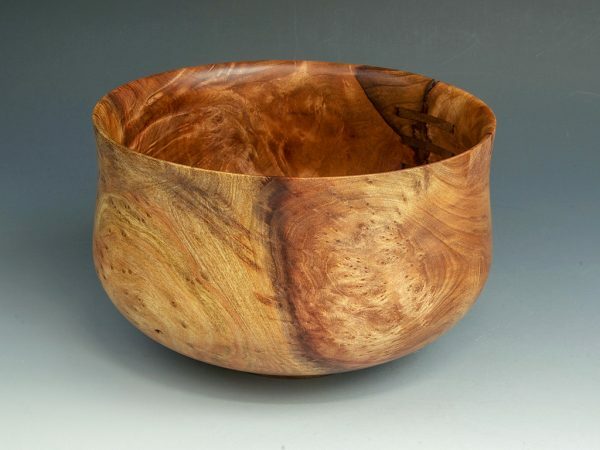 Exquisitely crafted by an artist with over thirty years experience, each bowl tells its own story. Each bowl is first turned while the wood is still wet, then properly cured before the finish turning, burnishing and waxing. The bottom is signed, including the type of wood and date of completion.